How’s it going everybody? Thomas Robinson here with the Armbar Express. I’m here to discuss the Twitter announcement from Cody Rhodes a.k.a. Stardust, who revealed that he has asked for his release from WWE. Coming off the recent releases and MANY rumours of futures departures from the company, this one is quite a big one. Cody tweeted the news yesterday on his personal account. Just like Wade Barrett and Damien Sandow, Cody Rhodes had the potential to become a true main-event star. He’s got the blood of a wrestling legend in Dusty Rhodes. He was one of the best workers in the roster, being able to use an old-school in-ring style and adapt it to a vastly different and high-paced style. He has charisma and was dedicated to getting the most out of himself and his character, no matter how badly he had it. He’s got the look of a marketable pretty boy and to my knowledge, had been anything but a pain backstage. I’ve rarely seen stories about backstage heat on Cody Rhodes or any issues he’s had with fellow wrestlers. He’s the ultimate workhorse, even with the last name of Rhodes. You know, it’s very easy to look at a guy and say: “he deserved to be champion.” We’ve said that about Mr Perfect. We’ve said that about William Regal. We’ve said that about a lot of people. I Googled the term deserve and the definition I got was: “do something or have or show qualities worthy of (a reaction which rewards or punishes as appropriate).” Every one of the qualities I mentioned above describes Cody Rhodes and his actions certainly were more deserving of rewards rather than punishment. Even so, I don’t even think Cody Rhodes has even been given a single world championship program in his entire WWE career. Now he’s been in pretty big storylines while with WWE. He was a member of Legacy, with Legacy’s leader Randy Orton being the biggest part of WWE storylines in 2009. He was the one that re-introduced the classic Intercontinental Championship as part of a great run as Intercontinental Champion from August 2011 until WrestleMania 28. He was a key part in a tremendous program with the Rhodes Family taking on the Shield, leading to a classic tag team match at Battlerground 2013. He had the “Stardust” gimmick and still did his very best to make the most out of his character. Even so, he was never considered for a big main event push. After nearly a decade of blood, sweat and tears, Cody Rhodes was never given the main event opportunity. Cody has the genetics of a champion. Cody has the charisma of the champion. Cody has the wrestling ability of a champion. What more was there for Cody to have in order for WWE to give him a championship run or even a title shot? I don’t understand. I’m sure there’s a lot of people already speculating that this is a grand work but I highly doubt that. I know there’s been examples of wrestlers that have tweeted their departure on Facebook or Twitter, only for it to have been a big swerve. A memorable example to me was when Devon tweeted that he was quitting TNA but was back for the 2012 Bound For Glory pay-per-view. However, I don’t think so. I mentioned this during my post about the initial WWE releases. There was just more to come from this and unfortunately, this is it. Brooklyn Brawler’s release was announced shortly after this, with a few more being speculated as well. Cody’s deal is just one of them and he chose to tweet it first himself. There have been several more tweets of support for Cody. There’s been tweets from Arrow star Stephen Amell and Cody’s wife Brandi Rhodes a.k.a. Eden both tweeted. Thinking of my good friend @PrinceCGR today. Whatever's next, he will excel. Cody: Thanks for taking me on a grand adventure! It’s a shame because of what I mentioned before. Of course, Cody could easily come back some time down the road. I don’t think that relations between WWE and Cody are terrible or anything, so of course the possibility is there for a return. Have any favourite memories or thoughts about the release of Cody Rhodes/Stardust? Tweet me @TomRobinson5199 and @ArmbarExpress and give us your thoughts, or leave a comment. How’s it going everybody? Thomas Robinson here with the Armbar Express. Big news coming from the WWE on Friday as eight releases were announced with the departures of Wade Barrett and Damien Sandow being the biggest ones of the lot. With that said, there were a number of surprise releases among the group of superstars. The full list of wrestlers released were…. What we’ll do with this post is run down everyone that was released and I will give my thoughts in the latest mass exodus of WWE talent. Barrett’s departure has been well-known for a while. He’s discussed it in the past and it appeared that he was done following his excommunication from the League of Nations. Throughout the years, for the Armbar Express, NoDQ.com, SLTD Wrestling and even WhatCulture, I’ve talked about Wade Barrett passionately. This man had everything that the WWE could want in a top heel and they really dropped the ball on him. Now granted, there were a number of times where Barrett was picking up momentum but unfortunately picked up injuries that stopped him. However, there’s also been a fair share of disregard for Barrett by the WWE writers in the past few years. He’s been a King of the Ring winner and a multi-time Intercontinental Champion, but it still feels like Barrett was never able to accomplish any of significant value since he debuted on RAW as a part of Nexus. That angle could have made Barrett a star but whether it was down to “backstage politicking” or lack of confidence in the Nexus as a whole, Barrett was never really given a great main-event run. Despite this, Barrett’s had some great periods of getting over to a high level. As Bad News Barrett in 2014, Barrett was one of the most over acts in the entire company. It’s sad to see him go but the pressure is now on for Neville to waive the flag for England in the WWE. The fact that WWE had nothing creatively for Damien Sandow to do in the last 12 months just goes to show how badly WWE screwed up the booking of this man. The fact that Damien Sandow has now been released after holding the Money In The Bank contract and being one of the most over acts of 2014 and 2015 is just an unfortunate fall from grace for the man that has received endorsements from legends such as Mick Foley. For a company that claims to embody “sports entertainment,” it’s astonishing that they wouldn’t push Damien Sandow to the level that he could get to. 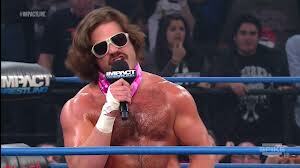 After all, Damien Sandow has been entertaining with every gimmick he’s been given. Whether it’s just being the intellectual saviour of the masses or just parodying other superstars, Damien took the ball and ran as hard as he could with it. He’s like Eric Young in the sense that he could make any gimmick work. It boggles my mind how WWE never gave him a legitimate run as a main-eventer considering how over Damien got. El Torito was a surprise release. I actually liked El Torito and he actually had a lot of value as a little fella that children could get invested in. Not only that but he could actually work in the ring as a luchador. As a suitable replacement for Hornswoggle as the top… little man in the company, El Torito was the right man. I know that his character didn’t get over to a tremendous degree but he was good enough to be a great little lower mid-card character that could keep the crowds happy. I guess the WWE didn’t really have a lot of future plans for him but you could tell that anyway as soon as he broke up with Los Matadores in an angle which went… nowhere. Torito, much like a lot of these guys, just didn’t seem to have a place in the company anymore. Especially with Los Matadores being repackaged back to Primo and Epico, there was not much else for Torito to do. Hornswoggle had already been on the company’s bad books ever since his suspension last year. Taking his inactivity afterwards into account, this was the least surprising release for me. After ten years of goofy angles, which include being Vince McMahon’s illegitimate son and being the anonymous general manager of RAW, what else could Hornswoggle offer in terms of storylines? He did pretty much all he could with WWE and now’s the time for him to move on. You gave us some of the most unique and bizarre wrestling angles of all time and even reigned as the final Cruiserweight champion but this is the end of the road unfortunately. NOTE: It’s actually already been confirmed that Hornswoggle is starting up with Global Force Wrestling as… Swoggle. Again, this was an inevitability. Alex Riley had been in NXT for years in hopes of revitalising his wrestling career. He feuded with Kevin Owens and then really just floated around in the NXT roster after that. Riley had also been very outspoken on Twitter about how WWE was using him on the main roster and on NXT. Really, there was little chance of anything major happening for Riley in the near future. There was a time where it really felt that WWE were going to get behind him after he broke up with The Miz in 2011. He got some big pops as he feuded with him and even BEAT him at Capitol Punishment 2011. Considering that he beat Miz, right after he dropped the WWE title to John Cena, that shows you just how much stock they had in him. He had segments with Cena and Steve Austin and it looked for all the world like they were really going to push him to be the next top babyface. He had the charisma for it anyway. However, for whatever reason, Riley’s push was dropped and he was really never able to recover again. The big reason about why Riley’s push was ended was reportedly due to a confrontation he had with John Cena backstage. It was probably in Riley’s best interests to not get on the bad side of these top guys in the company, but it was a shame that his full potential was never realised before he parted ways with WWE. Santino had been retired as an in-ring competitor for a number of years. Santino’s gave us many years of laughs and entertainment but it was very difficult for Santino to make a significant contribution to the company strictly as an ambassador and in a non-wrestling position. With several big legends on the pay-roll in the same role as Santino, there was little need for him anymore. As strange as this may sound, Cameron was the most shocking release of all. The reason I say this is because I truly believed that Cameron was making a serious effort to contribute more to the company. Whether it was going back to NXT to develop her wrestling skills or taking part in outside projects, I think Cameron was trying really hard to make the WWE realise that she wanted a place in her company and that she could deliver. Despite all of this, with the sudden increased demand of women’s wrestling, Cameron was going to have a difficult time attempting to live up to that standard set by the likes of Sasha Banks, Becky Lynch, Paige and Bayley. Cameron did have a number of off-screen incidents while in WWE, including her infamous DUI where she reportedly tried to bribe a policeman and didn’t tell WWE about it. She also had the incident on RAW where she tried to pin Naomi on her stomach. Despite her recent efforts, I guess it’s time for Cameron to say girl bye. Colter was sailing in the same boat as nearly everyone else that was released, in the sense that there was not a lot for him to do within the company anymore. He came in as the effective manager for Jack Swagger and delivered tremendously on the mic. The issue with Zeb was that he was one gimmick hit. He was really only able to deliver well with the Real American gimmick and whenever he was with Jack Swagger. When they tried to put him with Alberto Del Rio, it was a momentous disaster to the point where Del Rio has never really been able to recover. What do you think of these releases? Who are you going to miss the most? Is there anyway that you’re glad to see leave? Tweet us your response @ArmbarExpress or leave a comment below. The news was broken last night, ladies and gentlemen. Just before I went to bed, WWE.com released a statement announcing that. I posted this out on the blog last night before I went to bed. You can check this out on this link but it doesn’t tell you much since I posted it about 10 minutes after WWE.com announced it. Since then, in the States everyone is trying to make sense out of everything that happened with the suddenness of this announcement regarding Del Rio. As you probably guessed, Internet Wrestling sites are all being bombarded with rumours about how the incident occurred, who was involved and where Del Rio’s career goes from here. Well WWE.com stated that Del Rio was release for “unprofessional conduct” after and altercation with an employee. We don’t know for sure who that employee is for sure but ROH Founder Rob Feinstein of RF Video posted an update on his Facebook of what supposedly went down between Del Rio and another employee. I think the general consensus among us is that Alberto Del Rio was definitely not happy in WWE prior to this incident. Del Rio wasn’t going anyway in the WWE and had essentially become a glorified jobber to the main event talent. I was annoyed because Del Rio deserved much better but got lost in the loop. If you believe the reports, Del Rio was apparently reaching the end of his contract in WWE and was probably not going to resign. So it does seem a bit suspicious in that sense that WWE would just release him and not just wait for his contract to end. It also seems suspicious as to why Del Rio actually got FIRED for an incident like this. I mean Del Rio’s been in incidents like this before and the most he’s ever gotten for them is stern warnings. Like with the incident involving him and Drew McIntyre last year. I don’t think anything happened to either of them. However, the circumstances were very different. When that incident happened, Del Rio was the World Title and he had just gotten into a fight with random guys. This is a fellow WWE employee and Del Rio was in hardly any of WWE’s future plans. So the consequences had to have been a bit different. Now we can’t take a lot of this talk about what Del Rio did or didn’t do for the truth. It’s just what WWE says happened and a bunch of rumours at this point. The plot could be a lot thicker than we imagined and I believe there is a lot more to this than just a small altercation with an employee. You could argue that WWE simply overreacted just like they did with Emma’s arrest and just said “Right. Del Rio. You’re outta here”. However, if it was I’m fairly certain WWE would have went back on their decision and allow Del Rio to see out the rest of his contract. But again, the key thing to this whole thing is Del Rio’s contract apparently coming to an end. Evening wrestling fans, I am the The 8th Wonder of the World Tom Robinson here with TNA Wrestling news! Made a huge impression in my eyes after earning a TNA contract through Gut-Check having some great matches with the likes of Rob Van Dam and Jeff Hardy. That match he had with Jeff Hardy back in November was quality. However, he could never really cut it as a major deal. He’s talented in the ring no doubt about it, but I just found him dry as hell on the mic. He just couldn’t keep me interested in him and when the likes of Suicide, Chris Sabin and Petey Williams came back into the frame, York was quickly shafted down the X-Division ladder. And that’s a shame considering that it looked like he was gonna get a run as champion. The downside to this release is that it’s losing another X-Division superstar and TNA need as much as they can to build up the division again. An internet darling that I just CANNOT stand. I am SO glad he’s gone. He was just a waste of space on TNA Television. Sure he had one half-decent storyline with Al Snow. But MY GOD. He was so off as far as wrestling is considered. That match with Rob Van Dam for the X-Division Championship at Turning Point and matches against Chavo and Hernandez showcased just how awful of a competitor he was. Looks like he’s gonna have to take his “sleaziness” back to the indie leagues son. GOOD RIDDANCE. The thing I don’t get about this release is what was the point of Crimson’s comeback to TNA TV a couple of weeks ago if he was on the verge of being released? Crimson did have a chance to be a big star in TNA especially with his winning streak and his feud with Immortal. But Crimson’s streak went on for so long and he went absolutely nowhere. If he had won the Bound For Glory series it would have been a big deal but after some god-awful feuds with the likes of Samoa Joe, Crimson never exactly looked like a big deal anymore. In the end James Storm ended his streak and after 1 year off of TNA TV and a loss to Joseph Park, Crimson was out of here. Personally, I wasn’t that too big on him so this release doesn’t really bother me. TNA could have easily made Taeler into a big deal. If you watch some of her heel promos at OVW, she had some serious menace within her that could have made her a very interesting character to watch in TNA. She even had the superstar look too and she could go in the ring. But no – TNA gave her hardly any spotlight and chances to shine and that really pisses me off. Taeler was a great find for TNA but they treated her more as a jobber to heel divas and she went nowhere. In fact I don’t actually think Taeler won a match on TNA Television during her career at TNA. It annoys me considering how little in numbers the knockouts division is right now. Bad call to release her. And let’s get on to the other departure from TNA’s ranks…. Madison has been a great member of the TNA roster for many years, but considering her pregnancy and inactivity for the last couple of months it was best for TNA to let her contract expire. So there you have it. Up-and-coming talent as well as experienced knockouts biting the dust as TNA finds ways to cut costs. A little pissed off about the Taeler Hendrix one but in the end TNA is a business and aren’t exactly the financially-greatest business either. They have to find ways to find money and unfortunately for Rayne, Hendrix, York, Crimson and Ryan… they were the ones given the boot. I’m Tom Robinson. Follow me on Twitter @TomRobinson5199 and stay tuned for more content coming soon on the Armbar Express!